The Labor and Working Class History Association (LAWCHA) is pleased to announce its annual Herbert Gutman Dissertation Prize, established with the cooperation with the University of Illinois Press. This blog introduces LAWCHA’s newest and most important initiative. Last year, with encouragement from past president Nancy MacLean, an ad hoc committee drafted proposals that the Board of Directors adopted at its April 2016 meeting, most importantly creating the Committee on Contingent Faculty which manages this blog. The Labor and Working Class History Association, an organization of scholars, teachers, students, labor educators and activists, welcomes individual and session proposals for the 2017 LAWCHA conference in Seattle, June 23-25. 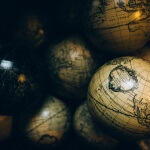 The conference theme will be Scales of Struggle: Communities, Movements, and Global Connections. If you would like to share your remembrance of the late James Green to be posted on our remembrance page in celebration of his life, please send them to [email protected]. Looking to submit an article to LAWCHA’s official journal, Labor: Studies in Working-Class History? Check out our submission and review guidelines to ensure that we can process your submission as fast as possible. 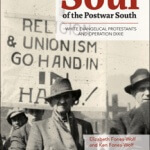 For their book, Struggle for the Soul of the Postwar South: White Evangelical Protestants and Operation Dixie(University of Illinois Press, 2015), LAWCHA members Elizabeth and Ken Fones-Wolf (West Virginia University) have been awarded the 2016 David Montgomery Award. 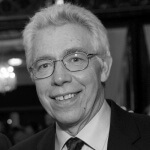 We are proud to announce former LAWCHA President James Green as the recipient of this year’s Award for Distinguished Service to Labor and Working-Class History in honor of his exemplary contributions to the field and its members and this organization over so many years. 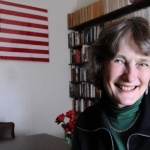 We are proud to announce that former LAWCHA President Alice Kessler-Harris has been awarded the 2016 Sol Stetin Award for Labor History. Born into an Eastern European immigrant family living in war-time Great Britain, Alice Kessler-Harris played a foundational role in shaping the field of women’s labor history. The Global Labour History Network (GLHN) is an interdisciplinary network of historians and other social scientists, founded in Barcelona on June 16, 2015. It unites local, national and regional scholarly associations, journals, archives and museums, as well as committed individuals, who aspire to further the study of work and workers in the broadest sense.